Piotr Lewandowski spoke about the social challenges of energy transitions at the Eionet meeting in the European Environment Agency (EEA) in Copenhagen, Denmark. The European Environment Information and Observation network (Eionet) consists of around 1000 experts from more than 350 organisations dealing with environmental problems. At the meeting, the experts discussed among others: climate and energy projections and policies, savings connected with renewable energy, the benefits of energy efficiency in the EU. Piotr Lewandowski, the president of our Institute, presented the challenges of socially fair energy transition. 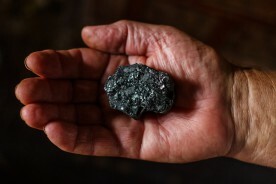 He stressed that obstacles to coal phase-out are largely social and political. He discussed several challenges and policy ideas related to labour market, education and regional development policies aimed at supporting transitions of regions dependent on coal industries. You can find the presentation below. The European Environment Agency (EEA) is an agency of the European Union, which aims at providing sound and actual information on the environment. The Agency is the major information source for policymakers and general public. It helps to make informed decisions about improving the environment at the European level.